Having cup holders on your canoe or kayak is essential for convenience and comfort especially when you’re on the water. You can enjoy your favourite beverage where you want it and close at hand. They’re also very useful for storing small tackle boxes and gear in convenient places. 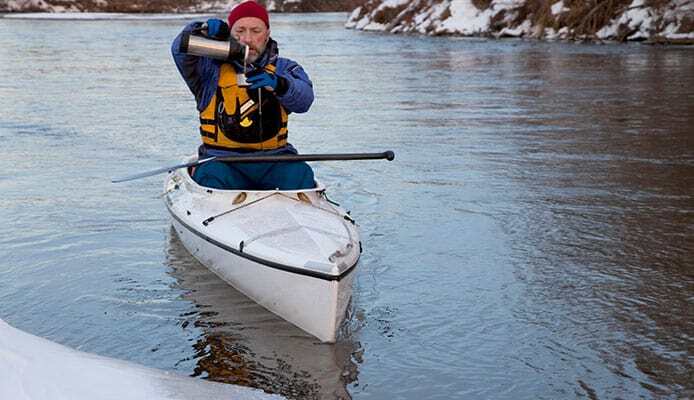 This guide will help you choose the best kayak cup holder and take you through the steps that will help you attach your own. 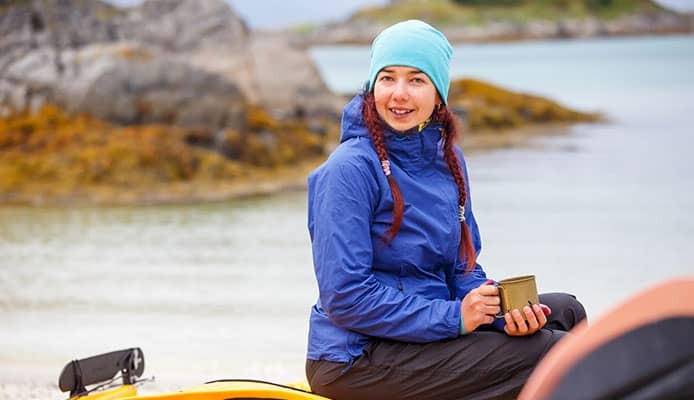 Here’s our list of cup holders that will help you pick the best kayak cup holder for your vessel when planning your next kayaking adventure. The YakAttack MightyMount makes it easy to install this cup holder. This top rated canoe cup holder is designed for maximum versatility. Besides your kayak, you can also use it for holding cans, water bottles and stainless steel bottles. It can also be used for putting small tools and other items that you may need to keep close for fishing since it’s enclosed at the bottom. It’s made from premium materials to withstand harsh marine environments hence durable. 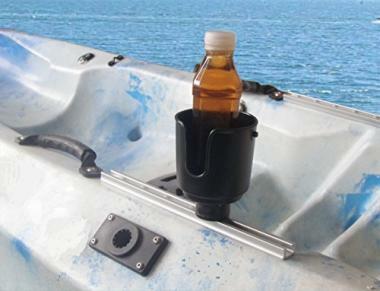 This cup holder for kayak is a convenient accessory rack you can use to hang tools and lures. It has a rod holder post mount and gunnel mount for hassle-free installation on your kayak. You can also mount it to gear tracks with separate Scotty gear head track adapters. It’s easily removable and can hold various containers like cans, water bottles and coffee cups. Another great product from Scotty, this kayak drink holder can also be used to hang lures and other tools. It’s easily removable and handy for holding insulated sleeves, coffee cups and cans. 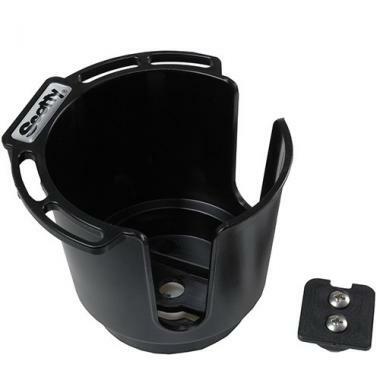 The gunnel mount makes it easy to install this cup holder while the long-wearing nylon guide offers extra protection. SkiffDaddy is the toughest and easy to install kayak beverage holder. It’s built to last and easy to use because it has no moving parts and nothing to assemble or wear out. 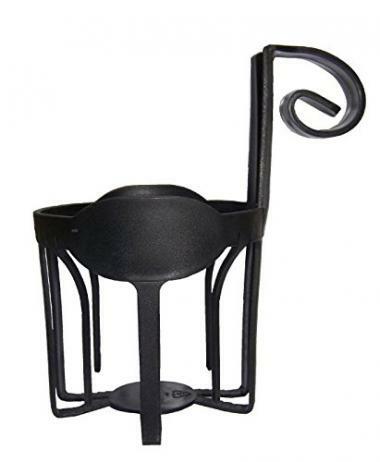 This drink holder fits patio chairs, kayaks, dock and deck railing and more. You also don’t have to drill a hole in your boat since there’s nothing to drill. Just friction fit to a standard pontoon boat railing and you’re good to go. It holds bottles, cups, cans and other items like sunglasses and water toys. 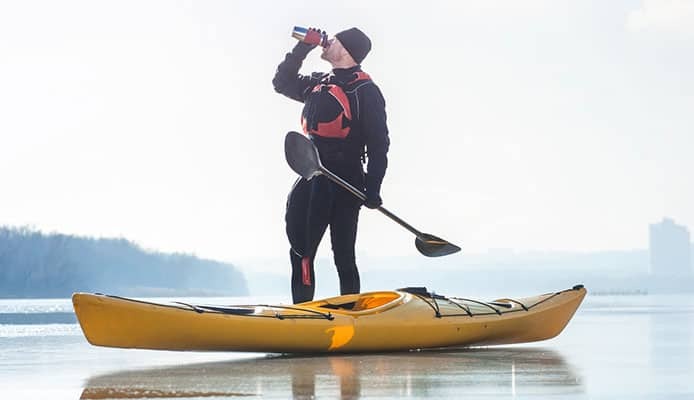 SunChaser is the most versatile kayak drink holder. You can use it for kayaks, canoes, hot tubs and also in your RV. It holds coffee cups, cans, bottles and more. It comes equipped with 3 interchangeable attachments. 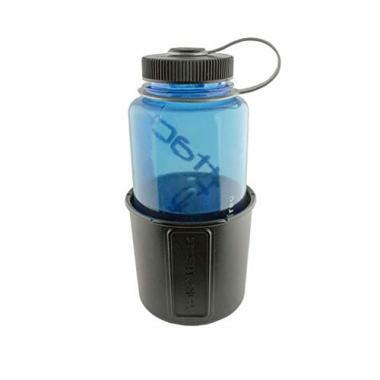 This sleek and compact cup holder fits in your pocket or beach bag. It’s built with high density rubber skid to protect surfaces and strong ABS injected molds hence durable. It also has a tough mash bag with locking drawstring clasp for holding all your parts. The suction base comes with 3 suction cups for superior holding power. Shoreline universal drink holder adjusts to a wide variety of angles and heights making it incredibly versatile. You can use it to hook and lure holders for quick access to your rigging essentials and also take your favourite drink on the water. This canoe drink holder is perfect if you own multiple canoes and kayaks. It holds various beverage containers including water bottles and cans. It also mounts easily to your vessel and holds firm. 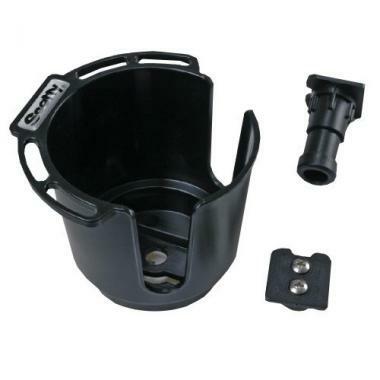 Brocraft kayak drink holder fits most watercraft track systems. It’s easily removable and designed to hold firmly various beverage containers like insulated sleeves, cans and coffee mugs. This holder allows you to mount to all kinds of surfaces. If you break the suction and lose your holder overboard, you’ll still grab it because it floats. The suction cup is made from an advanced polyurethane gel resulting to a sticky feeling that makes the cup stick to almost any surface and pull a strong suction. To restore the stickiness, wash the suction cup with soap and warm water then air dry it. 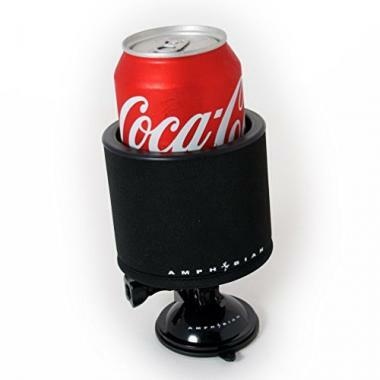 Can-Panion drink holder floats and holds different sizes of beverage containers of up to 3.5 inches in diameter. The coil at the top of this kayak beverage holder stretches about 2 inches to clip a wide range of items and holds securely. 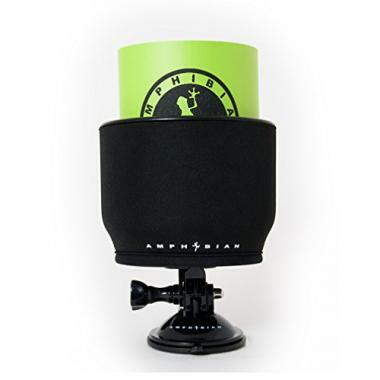 This is another great and affordable product from Amphibian. It’s ideal for mounting to all types of surfaces and not just the traditional non porous surface. It also mounts securely to inflatable kayaks. There are things you should consider when thinking about buying a kayak cup holder. Here are factors that will help you purchase the best canoe cup holder. You should be able to tilt or adjust your cup holder to your vessel easily without experiencing problems. Cup holders that are easy to use are the best. Look for those that do not require assembling, drilling and with no moving parts. The material used in designing the cup holder you choose will determine how long you’ll use it. Always check the material used to avoid being disappointed later on. Cup holders that hold your drinks securely will prevent accidental spilling and enable you to enjoy fishing kayak or reading. Cup holders that are durable will save you money that you’ll have spent on maintenance costs or even purchasing a new one. Q: Why Do I Need A Kayak Cup Holder? A: A kayak cup holder will help you have you favourite beverage close to your hand and free your hands for fishing or paddling. Q: How To Mount A Kayak Cup Holder? 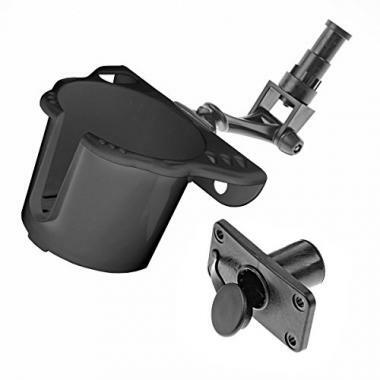 A: Choose the right mounting accessories both for your gear track system and cup holder. Find the right spot for your cup holder, somewhere you can reach it easily while sitting in your kayak. Attach the cup holder to your mounting point or slide it into the gear track. Ensure it’s in the correct position before tightening it. If you’re mounting the cup holder to the side of your craft, such as with a clip-on holder or clamp, attach it to the gunwales of your vessel or the rim of your sit-inside kayak. Q: Do I Need Any Special Tools Or Preparation To Mount A Cup Holder? A: Yes. You need a kayak drink holder kit which includes a cup holder, mounting point on your watercraft/gear track system and mounting adapter/accessories for your mounting point or gear track. Having a cup holder will help you stay out on the water longer. 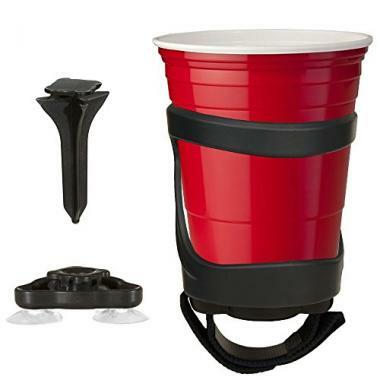 You’ll also have the added convenience of having the drink you love close to hand during your next kayak camping trip. However, find out if you’ll need additional attachments for mounting to your watercraft.